Say thank you to your friends with our lovely pairing set. 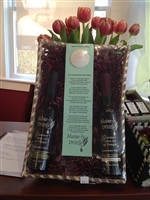 If you are searching for the perfect favor to say thank you to your coworkers, family, or friends, look no further! This pairing includes a bit of sand from Gooserocks Beach and lovely shells! ~ 60ML (2 oz) bottles (5”Hx 1.25”W) beautifully labeled with the name and a description of the extra virgin olive oil and/or balsamic condimento of your choice. 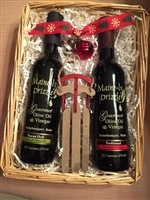 ~Upon checkout, let us know the Olive Oil and Vinegar pairing you would like in the comment box. 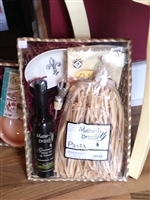 If no flavors are selected, you will receive Tuscan Herb Infused Olive Oil and Traditional Balsamic Vinegar.